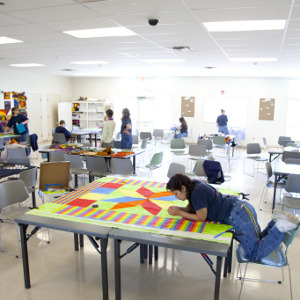 Coffee Creek Quilters offers four two-hour quilting classes every week for women incarcerated at Coffee Creek Correctional Facility. For instructors, the classroom experience is so much more than teaching someone to quilt. We learn about our students’ lives and share our own life experiences. Our goal is to nurture students’ self-esteem, so that they will be more successful living in the community after release from prison.